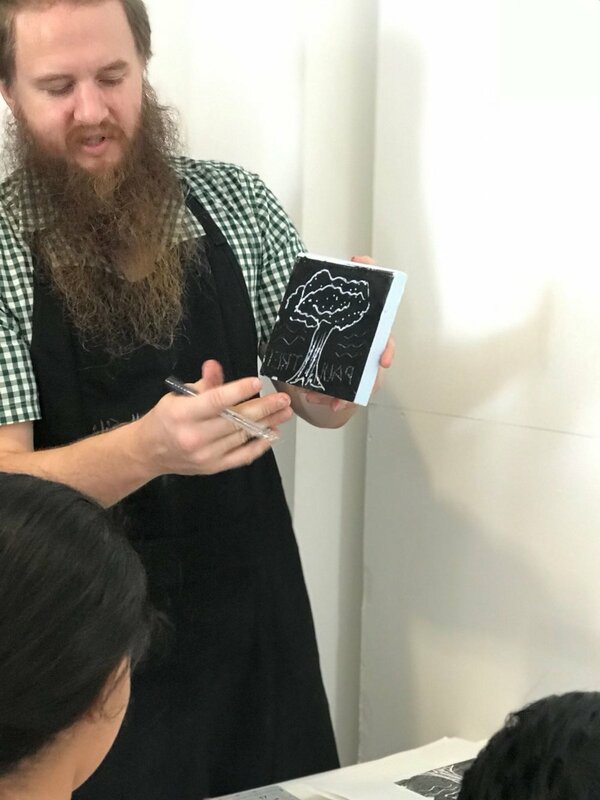 Katara Art Center hosted the children's printmaking workshop on Saturday the 14th of July 2018. The workshop was hosted by Paul Valentine who is an expert printmaker, the form of printing we focused on in the workshop is relief printing. Relief Printing is a form of printmaking that consists of carving or cutting into a print surface. After the cuts have been made into the surface what is left gets ink rolled onto and is then printed. Fahad Al-Obaidly Live Painting of "Headless Man"